A wonderful place to stay in Seoul. Well worth the money and comes with free breakfast as well. 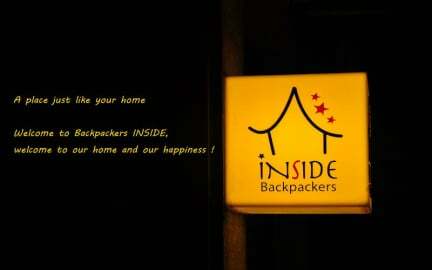 This is a real backpackers hostel with a communal room, kitchen and all facilities you need. Staff are excellent. Showers are ok, but hard to adjust. Friendly hostel with a good mixture of chill and party. Dormooms (4 persons) are small and clean. Really chill hostel, great place to meet people. Would recommend for solo travelers. There was a guest tho who was not so great to have in the room. People left cause of him. Better to just put the other people in the emty dorms but the owner did not want this. Staff was great tho very helpfull. My first time in S. Korea! The hostel is nice and the staff is very friendly. They know everything about where to go and what to eat in Seoul. The common area js great to met other guests. I miss you all and the Soju already. The place was a bit far from the tourist things in Seoul, you always had to travel for quite some time. But the subway is really close and shops are close as well. The area is pretty lively and some palaces are close by. The room was stunning and really clean (I had a single room, it even had a rooftop terrace). The atmosphere is less lively than I experienced in other hostels and if you arent in the dorms then you are in a different building so its more difficult to meet people.